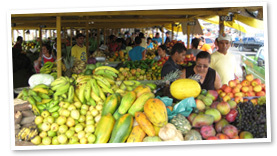 In the 1980s, the Nichirei Group started manufacturing acerola-based products using acerola fruits obtained from Brazil. 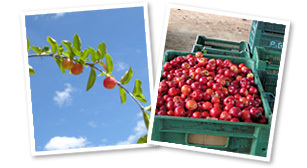 Since then, for more than two decades,we have expanded the acerola-beverage business in Japan. In the process, we have been directly involved in the management of plantations and fruit-juice processing facilities in Brazil, and have pursued distribution operations for industrial acerola-juice products in Europe and North America. Acerola is presently recognized as a “Superfruit” owing to its extremely high natural vitamin C content and potent antioxidant effects. Backed by its quality-assurance framework, the Nichirei Group has been striving to develop a broad market for acerola products and is also promoting other new tropical fruit products. As a member of the Nichirei Group, we aim to deliver an array of healthy, fresh, and delicious products to our customers. 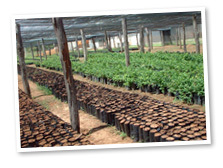 In Brazil, the Petrolina factory manages all stages of Acerola production, starting from the distribution of Acerola seedlings to the local growers. The cultivation of these seedlings is entrusted to more than 100 partner growers who meet our proprietary quality guidelines. 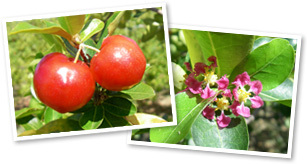 Acerola plants originated in the Caribbean. According to one historical account of the origin of acerola cultivation in Vietnam, the plant was introduced into France from the French Caribbean, and approximately 100 years back, during the colonial era, the plant was brought to Vietnam by a Vietnamese exchange student. 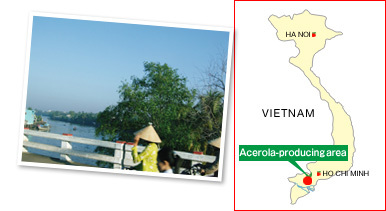 By the presence of Nichirei Suco Vietnam and also with strong support from our partner in Vietnam, acerola is also cultivated in Vietnam under the same quality-assurance framework of the Nichirei Group.